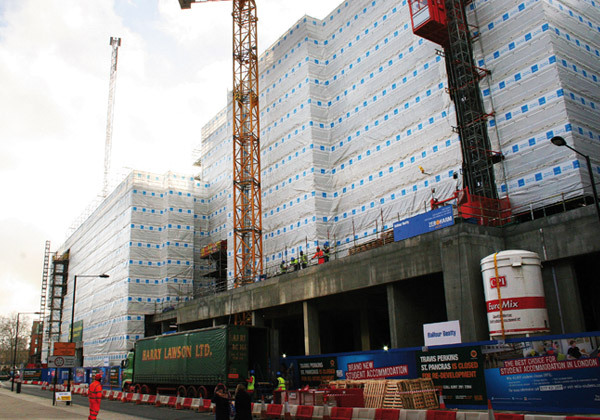 TRAD Scaffolding continues its partnership with Balfour Beatty and Unite! 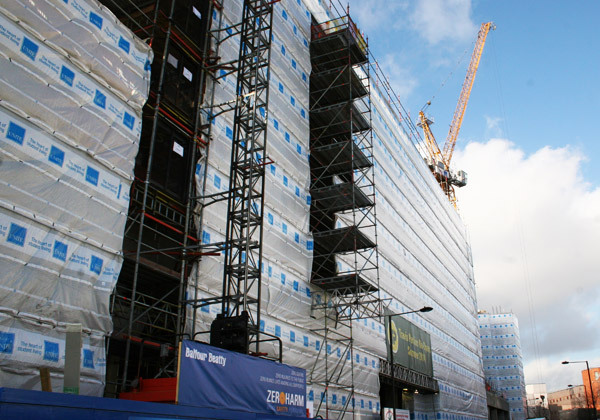 After working on several previously successful projects TRAD Scaffolding were requested by Balfour Beatty to carry out the scaffolding on Unite’s latest construction of high quality student accommodation in Camden, London. 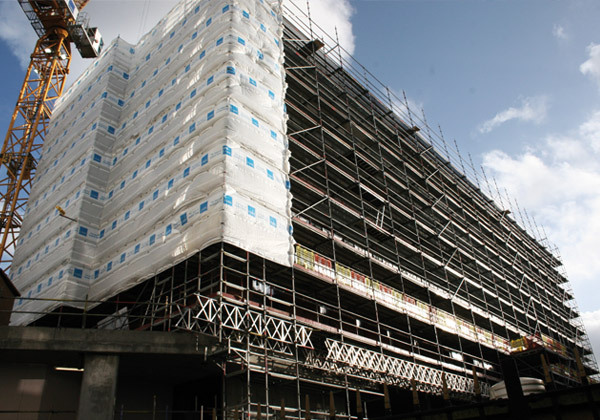 Karl Clinton and his team have erected over 8000 square metres of system scaffolding without incident and to the highest standards. 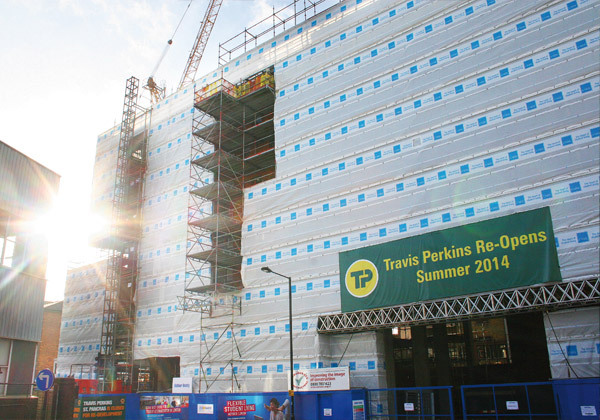 The system scaffold used provided for high speed adaptions for the brick layer once the main scaffold had been erected.